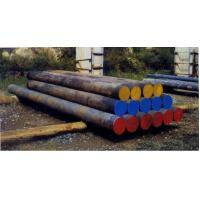 Round bar steelforgingis a production object according to the shape , process dimension on product drawing of customer supplying to further process. The weight is from 1 ton to 10tons and the application is more widely to make pipe mould including all kinds of thick wall hollow tubes, high pressure boiler tube, various kinds of shaftsand the stabilizer. It is widely applied to stand column, draw bar, shafts, etc.